The latest version of the ISO 31000:2018 standard manages to tackle the complicated risks of today whilst detailing the elements of the standard in a clear and easily understandable manner. ISO 31000:2018, Risk Management-Guidelines details principles, framework and processes for managing risk. This standard can be implemented by any organisation no matter its size, sector or activity. 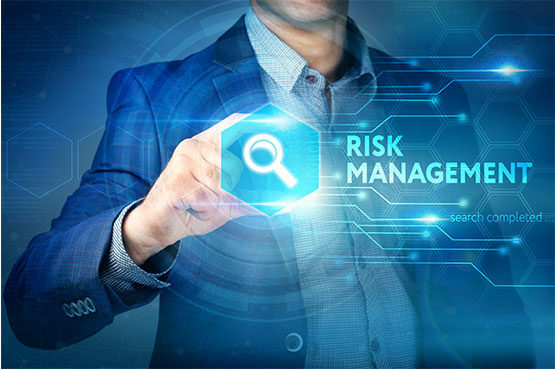 Organizations using ISO 31000 can compare their risk management practices with an internationally recognised benchmark, providing sound principles for effective management and corporate governance. ISO 31000 assist organisations to increase the likelihood of achieving objectives, improving the identification of threats and opportunities and allocating resources for risk treatment. ISO 31000:2018 features contemporary risk management techniques in a clearer and more concise way than previous versions, offering a guide that enables organisations to implement risk management principles to improve planning and make better decisions. The new and revised standard was focused on making the text easier and making elements clearer. This was achieved through the use of simple language to express the rudiments of risk management, in a manner which is understandable to users. The entire 2018 document can be read in approximately one hour. The new revision also eliminates complicated language, shortened text and updated reference structures. The ISO 31000:2018 also provides a renewed focus on the key leadership roles played by boards and top management and devoted greater attention to the cyclical and iterative nature of risk management. The new document provides definitions of central ideas, identifies the principles of risk management, sets forth a framework for ensuring that risk management is properly implemented and well-integrated throughout the organisation, and details on the risk management process. The implementation of ISO 31000 improves operational efficiency, governance and stakeholder confidence while boosting health and safety performance and encouraging proactive management. The benefits are therefore clear, and DQS would suggest this standard to any and all companies who wish to improve their risk management efficiency. If you would like to know more about managing risks for your business, contact DQS today!